WorldMovieStore - Skyline Sinopsis. 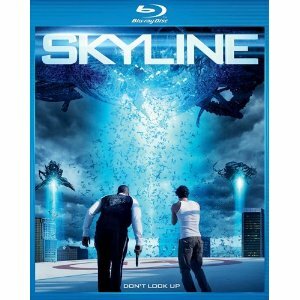 Skyline, an effects-laden thriller from directors Colin and Greg Strause, wears its various influences--films like Alien, District 9, Independence Day, and War of the Worlds--on its sleeve, but even if it doesn't measure up to those predecessors, the film offers enough thrills and action to keep sci-fi fans interested. A few action sequences find them trying to escape (bad idea, as the mother ships disgorge an endless supply of smaller, tentacled craft and troops of gross, city-stomping monsters to seek and destroy any luckless fool they encounter). --Sam Graham. Read More Sinopsis. 0 Response to "Blu-ray Release Skyline"